Can 'TDKR' beat 'The Avengers' box office record? I can't remember a more buzzed about movie than The Dark Knight Rises. Maybe it's just that I'm a total fan girl -- because I'm sure the hype surrounding the final Harry Potter movie installment was probably incredible. Am I simply paying more attention to the hype for TDKR? I doubt it. Given the incredible success of The Dark Knight in 2008, people are over-the-top excited about the third (and final) installment of the Christopher Nolan Batman trilogy. Critics, it seems, aren't immune: Early reviews for The Dark Knight Rises are almost all positive. Excited yet?At last check, The Dark Knight Rises was scoring a 91 percent rating (out of 100) on Rotten Tomatoes' Tomatometer. Several major movie critics have already weighed in, including Todd McCarthy of The Hollywood Reporter who calls TDKR "Big-time Hollywood filmmaking at its most massively accomplished," among other things. TIME magazine's Richard Corliss says The Dark Knight Rises is "...a film of grand ambitions and epic achievement." You get the idea: To say that a majority of movie critics are gushing about The Dark Knight Rises is a bit of an understatement. Words like "spectacular" and "epic" pop up often. Obviously more critics will weigh in as the week progresses, and perhaps more will offer negative reviews, though I can't imagine that TDKR will have a negative Rotten Tomatoes score when all is said and done. 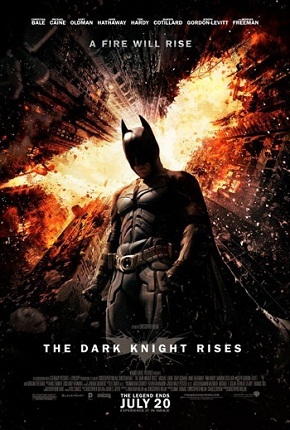 I know everyone's making the whole Avengers comparison with regard to The Dark Knight Rises and a potential record-breaking box office take, but to me, I don't care: Chris Nolan's Batman movies rank among my favorite films of all-time, so even if The Dark Knight Rises doesn't beat The Avengers box office record, it won't matter. I've got my tickets, though I'll tell you that I am not, regrettably, seeing the midnight showing this week. Work gets in the way (boo! hiss!). I'm going to literally spend all day on Friday hiding from potential spoilers. One final word of caution, and it does concern The Dark Knight Rises spoilers: Most major movie critics don't usually spoil films for audiences in their reviews, but it's not unheard of -- so proceed with caution if you decide to read a few before you hit the theater.